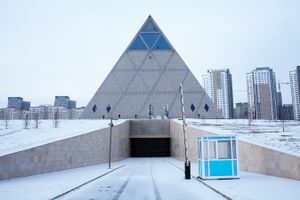 Astana is the capitol of Kazakhstan, the largest land located country in the world. Kazakhstan adjoins Russia, China, Kyrgyzstan, Uzbekistan and Turkmenistan. Moreover a large part of the Eastern bank of the Caspian Sea belongs to it. 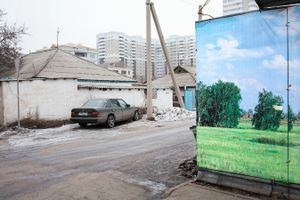 Kazakhstan was the last country becoming independent after the collapse of USSR. 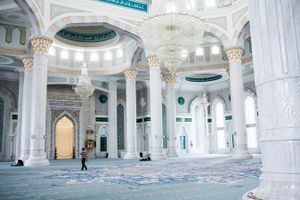 Since then (1991) President Nursultan Nazarbayev rules the country. 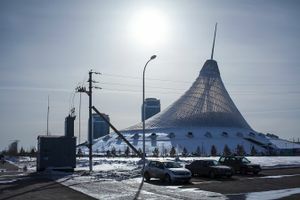 He decided, in 1997, to move the capitol from Almaty in the South to Astana in the North to balance the influx of Russian people from Kazakh North border. 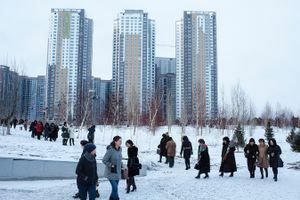 Astana was founded in 1830 with the name of Akmoly, a settlement serving as a fortification in the Cossack Siberia. 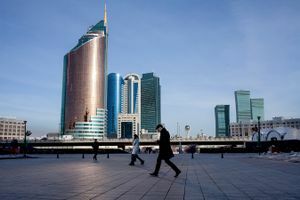 After changing its name several times, finally in 1998 it was renamed Astana, which literally means “the capitol” in Kazakh. 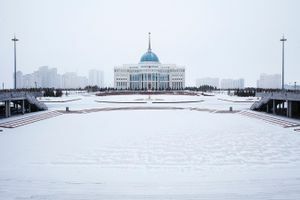 Moving the capitol to Astana also meant to move all the ministries, offices, and businesses to the North and, along with them, all the people employed in those. 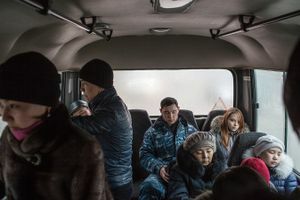 A mass of Kazakhs left the South of the country to inhabit the freezing land of Eastern Siberia. 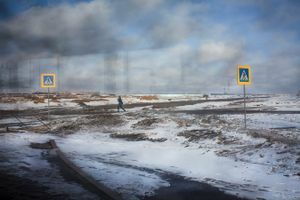 Due to its position in the middle of steppe and its continental climate the average temperature in winter is about -30 -35 C degrees reaching peaks of -50. 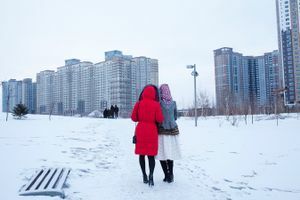 Astana is the second coldest capitol in the world. 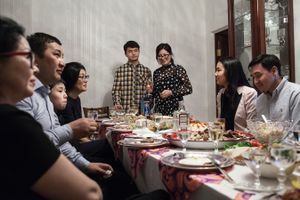 Despite the extreme weather conditions, as well as modern pioneers, many people inhabit Astana moving from all around the country to study there or chase their dreams. 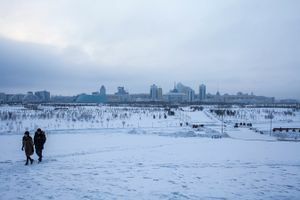 Becoming the capitol, Astana experienced an incredibly sharp development starting at the end of the 20th Century. 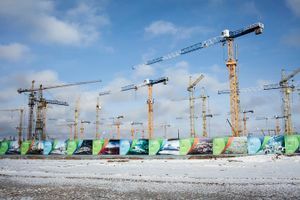 This growth is the result of President Nazarbayev’s will to build a shiny, super modern city to celebrate Kazakh economic power. The Green Boulevard, the area where most of the futuristic buildings are, was designed by Japanese architect Kisho Kurokawa. While the pyramid called Palace of Peace and Reconciliation was designed by British architect Norman Foster. 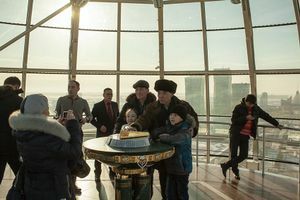 Along with this dramatic tension to the future, traditions are very important to Kazakh people. 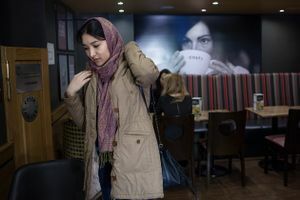 They are proud of their past as part of Genghis Khan empire and their being nomads until a short time ago. 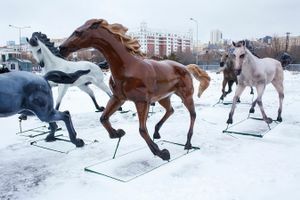 During public holidays such as Nauryz, the Persian/Zoroastrian new year, yurtas are built around in the city and horse game are hold to celebrate the ancient tradition of this country stretched between Asia and Europe which was, in the old days, an important stop-over on the Silk Road. Therefore even the name of one of the most futuristic buildings is a reference to this past. 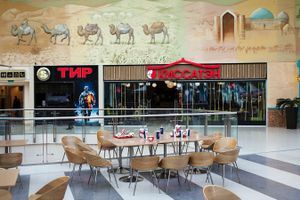 In fact the name of the ultra-modern entertainment center “Khan Shatyr” literally means “Tent of the Khan” and its shape recall a that of a tent. 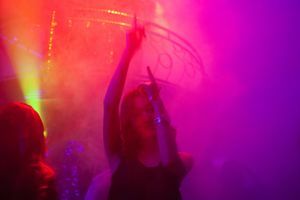 Kazakhstan is a huge country still unknown to the majority of people. 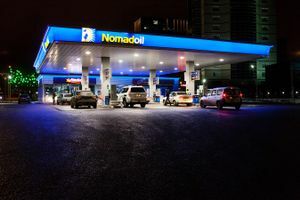 However its fast growth rate and the richness of natural resources such as oil and natural gas (the 11th largest reserve oil and gas in the world) is going to impose Kasakhstan as one of the most important country in the international panorama. 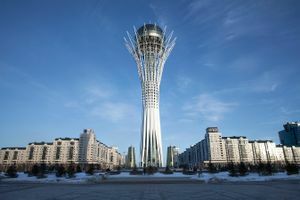 In 2017 Astana will host the Expo, international exposition on the theme of Future Energy.